Your daily dose of Kentucky football and basketball news. Does Quade Green transferring mean more playing time for Jemarl Baker in the future? As we all know by now, Quade Green announced that he would be transferring. It isn’t great news, but it isn’t deflating either. We thought Quade, being one of the more experienced guy, was the potential leader of this team. 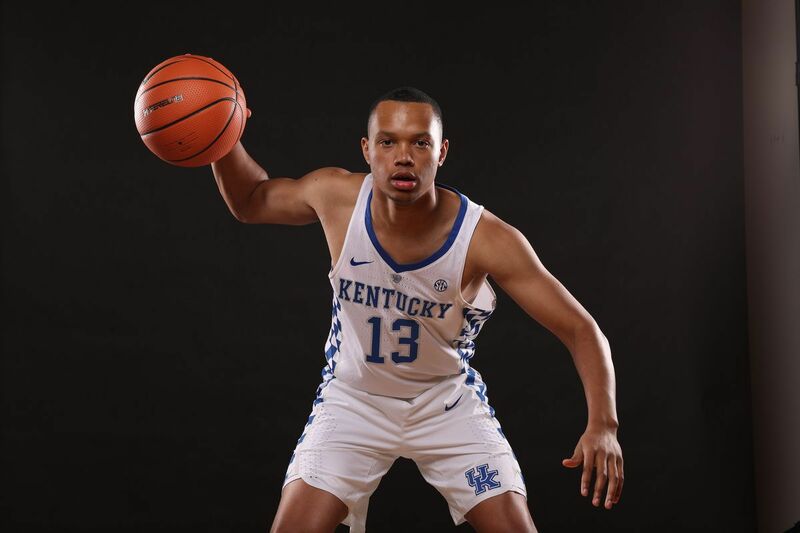 But, with his playing time declining and already having requested a transfer in the summer, his days were numbered at UK, and today he decided that he wanted to wear another teams uniform. The guy above, Jemarl Baker, committed to Kentucky in April of 2017, after being released of his National Letter of Intent at Cal when Cuonzo Martin left. Baker came to UK as a four-star recruit, who was ranked in the top 20 at his position and in the top 100 overall. After injuring his knee in October of last year, which the staff at UK originally thought was only a minor injury, turned out to be more severe than expected. This resulted in Baker missing the entirety of his freshman year. Us Kentucky fans thought that Baker would play in the Bahamas, but Cal told us that was unlikely because Baker had missed four to five days of practice because of swelling in his knee. Baker has been kind of a mystery this year, and at times I didn’t know if he still existed, but we finally saw him briefly this past Saturday against Seton Hall. He didn’t play much at all, but we at least got to see what he looked like on the court. Now that Quade is transferring, does that mean we see more Jemarl Baker? And if not immediately, in the future? With the departure of Green, Kentucky only has four guards, but with Tyler Herro not living up to hype, we may see Jemarl Baker jump into one of those spots. I don’t see this happening immediately, but I wouldn’t be surprised if Cal slowly adds him to the rotation in case there’s a freak injury or Herro doesn’t get it going. I do think we see more Baker in the future though. Baker is also a great three-point shooter as Shai Alexander noted on Kentucky Sports Radio, saying that he was the “best shooter” on UK’s team last year. In Baker’s senior year of high school, he averaged 17 PPG, 3.5 RPG, and 4 APG. He could be a key piece to this team. Maybe not now, but definitely in the future.